Powered by: GROUPIRA® - Keep on track for retirement with investment options and portfolios similar to those you are accustomed to in employer-sponsored retirement plans. If you are no longer working for your previous employer, you should not have to change everything about how you invest your retirement savings. ABG Advantage IRA features professional investment advice from ABG Consultants. Having a professional investment advisor associated with your account will offer many benefits. 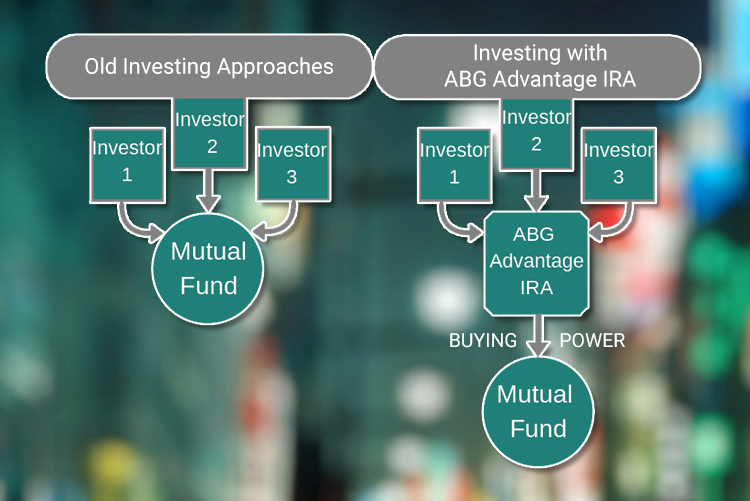 The funds available in the ABG Advantage IRA are a select list of prescreened mutual funds that consistently meet stringent standards and criteria and are continually monitored by our investment advisors. The goal of ABG Advantage IRA is to bring you lower cost institutional share classes not readily available to retail investors. This is achieved by leveraging the collective buying power of multiple investors. Collection of revenue share dollars from the mutual fund companies will be reallocated to your account, lowering overall fees. Already have an ABG Advantage IRA? Access your account now! Your IRA application can easily be completed online from start to finish! Our customer service representatives look forward to answering your questions.